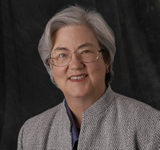 Gail Dayton has been a junior college history instructor, a newspaper editor, and a paralegal for a rural prosecutor. She has a husband, three children, and grandchildren. You can read excerpts of her novels at Gail Dayton’s website. I simply could not finish Gail Dayton's The Compass Rose (and have already donated it to my public library). 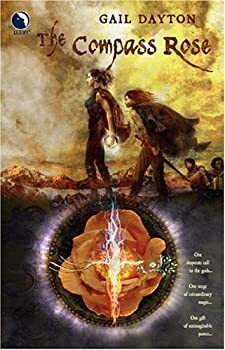 It begins adequately and has decent world-building, but about halfway in (once the strong-yet-unremarkable protagonist, Kallista, and company start toward the capital city) it sinks into a nauseating quagmire of romantic pseudo-plots and issues. The scenes are poorly paced, and for no apparent reason (other than weak attempts at creating tension), chapters begin and end in the middle of the same scene. Most glaringly, the writing is at best pedestrian and, at its worst, contains some of the most awful sentences I can recall. Victorian Blood Magic — (2009-2011) Publisher: In 1636, the last blood sorceress was burned at the stake. More than two hundred years later, her blood servant Jax has found her successor. Amanusa at first turns down the opportunity to learn what she perceives as an evil art. But she craves justice, and innocent blood cries out for justice. When Amanusa looses magic on those who’ve harmed her, she must flee for her life across a devastated Europe with Jax, who is inescapably bound to her by blood and magic. Their journey takes them through zones where everything — including magic — has died, zones populated with strange creatures cobbled together of things left behind by the dead. Needing each other for their very survival, Amanusa and Jax grow ever closer on their journey to discover answers — about magic, blood sorcery, the dead zones, and even love. The blood sorcerers have been exterminated; The last one was killed almost two centuries ago. Her magical servant has spent the intervening years looking for a successor, and finally finds her — a young woman wounded by the world around her — and now has the unlucky task of trying to convince her to take up the forbidden power. As they struggle to make sense of the crumbling world around them, they are forced to draw closer together, and they may find the most magical thing of all: love. 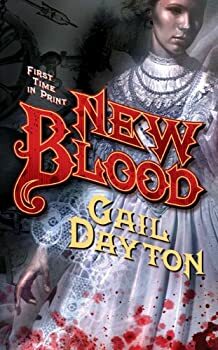 CLICK HERE FOR MORE BOOKS BY GAIL DAYTON.